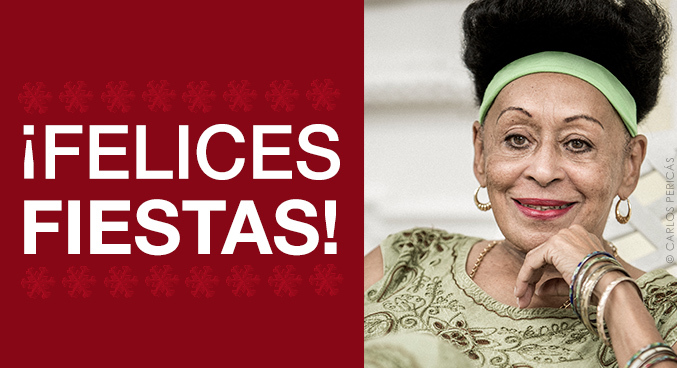 It was a magical year for Omara Portuondo that started with the farewell "Adiós Tour" with the Orquesta Buena Vista Social Club®. This past summer Omara received the La Mar de Músicas 2014 Award for a Lifetime dedicated to music. 2014 could not finished better and in November the singer released a reworking of what was her first solo album Magia Negra (World Village), followed by an European tour accompanied by brilliant Cuban pianist Roberto Fonseca.